Stand-Up Film Club. The BFI Comedy Genius tour hits Croydon! Join us for a season of stand-up shows, followed by the performer’s favourite comedy film. 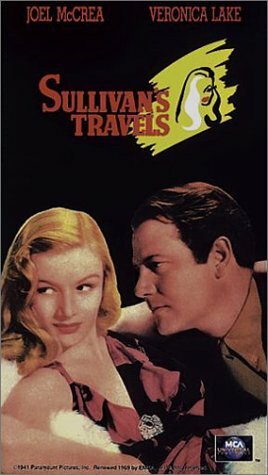 Our final event in the season is hosted by BAFTA-nominated Kevin Day with a stand-up set before his chosen cult classic screwball comedy Sullivan’s Travels. John Sullivan (Joel McCrea) travels around the US in disguise as a tramp to research his upcoming film about the common man, entitled 'O Brother Where Art Thou?'. With poignant satire and themes of self-reflection and introspect, this is one of Preston Sturges’ landmark pieces of cinema. In partnership with The Croydon Comedy Festival. More info at bficomedy.co.uk.